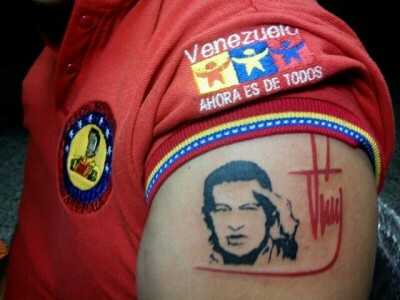 The Chavez signature tattoo is free, but the one of his face isn’t. Don’t worry: it can be paid later on credit. A Chavista youth group in San Francisco (South of Maracaibo) is offering to tattoo the signature of the comandante supremo for free. The group known as FIJU has informed that it will tattoo what they call “la rabo de cochino” (pig’s tail) on you all week, but it will be free only for 24 hours. Previous articleYou canNOT be serious!